Recently we have already published a bunch of interesting Thief news that the developers revealed answering the questions of fans. Today we are going to continue this tradition and so publish 5 next Thief news that yesterday appeared in the developers' blog. First thing we are going to talk about touches the environment in the game. The developers have told that in the City there will be lots of different areas with their special and various mood. Rich and poor parts of the town, suburb and downtown, exterior and interior environments - all these things will be versatile and inconstant. Also some places will be familiar to the fans of the Thief game series, but only in the upcoming instalment you will be able to explore every corner of these fantastic locations. The second question the developers have chosen is about the horror elements in the game. It became known that there will be lots of exciting and frightening things in Thief, but the developers don't want to put their cards on the table now, because real horror needs to be unexpected. Also the developers have revealed more information about Claw - important Garrett's tool. Claw will help the protagonist to climb. Using it the thief will be able to climb walls or pipes and move vertically very quickly. But Claw can be used only for navigation and it is not a weapon. The fourth question from fans is about the documents. The developers have explained that there will be a lot of readable stuff on each level. The documents will tell you more about the world around you, about the plot and mysteries of the city as well as about hidden hints and special rewards you can find on your way. 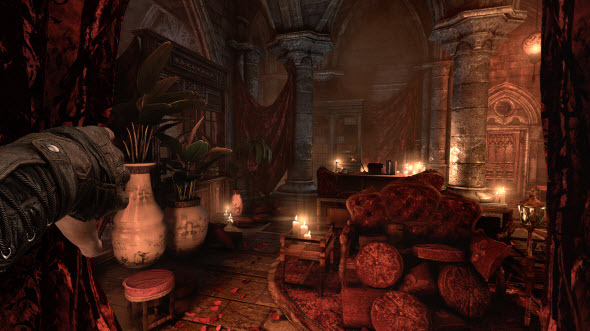 And the last Thief news we want to tell you today touches the similarity between new Thief game and the previous ones. The developers have told that there will be many connections between the reboot of the series and the series itself. The gamers will get upgraded game with new story, but nevertheless the universe of Thief remains unchanged. The fans of classic games will find familiar characters and locations here, and even the map in this Thief game will be similar to the map from Deadly Shadows, but a little bigger and much more detailed. 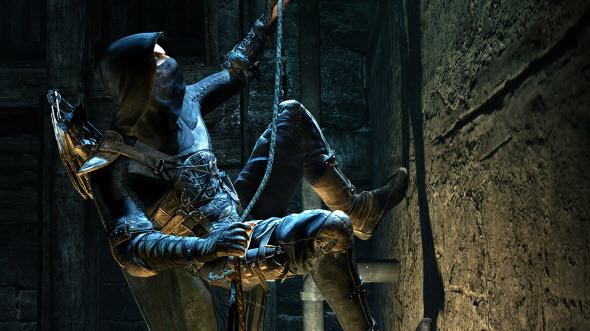 Thief release date is scheduled for the 25th of February, 2014. If you still have questions about this project, ask the developers on the official forum, and maybe in the next "5 interesting Thief news" there will be an answer for you.